Elliot Health System is proud to be recognized for providing the highest quality of healthcare, a commitment we’ve made to our patients for over 125 years. 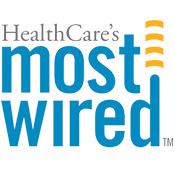 Elliot Hospital is proud to be named one of Healthcare’s Top Wired Hospitals in the country. Hospitals & Health Networks magazine annual Most Wired hospitals show better outcomes in patient satisfaction, risk-adjusted mortality rates and other key quality measures through the use of information technology (IT), according to a new analysis. Elliot Hospital won in the Most Improved category in July 2008. 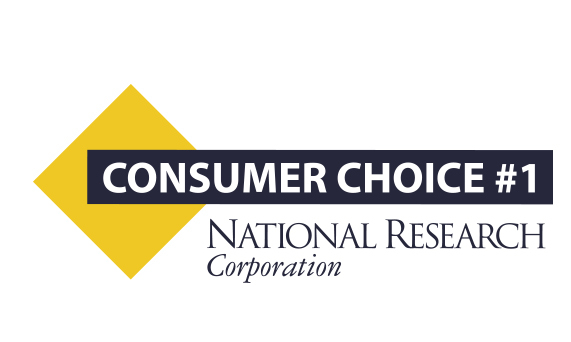 The National Research Corporation (NRC) named Elliot Hospital a Consumer Choice Award winner three separate years for being the most preferred hospital for overall quality and image in the Manchester and Nashua service area. The Consumer Choice Awards are based on four Healthcare Market Guide Quality/Image indicators: Best Overall Quality, Best Doctors, Best Nurses, and Best Image/Reputation. Elliot has been named Business NH Magazine’s 2009 Healthcare Business of the Year! Elliot is being recognized for its contributions to the healthcare industry and its strong commitment to civic involvement at all levels of the organization. The Elliot Hospital has been ranked as one of the top four hospitals in New England by RN readers of ADVANCE for Nurses Magazine. Elliot ranked 4.75 or higher (out of 5) in the following categories: quality of care, organizational culture, communication, professional development, and retention efforts. 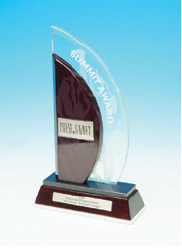 Press Ganey Associates has named the Elliot One Day Surgery Center a Summit Award Winner for in 2006, 2007, 2008, and 2009. This award is the healthcare satisfaction industry’s most coveted symbol of achievement bestowed annually in recognition of top performing facilities that sustain the highest level of customer satisfaction for three or more consecutive years. On May 19th in Chicago, at the CleanMed 2009 Environmental Excellence Awards, the global conference for healthcare’s environmental leaders, Elliot Hospital was awarded a Partner for Change Award and a Making Medicine Mercury-Free Award from Practice Green Health. Elliot Hospital has been named to the Community Value Index™ (CVI) Five-Star hospitals list by Cleverly & Associates. Hospitals are evaluated on three areas: Financial viability and plant reinvestment, cost structure and charge structure. The combined performance in each area is the Community Value Index™ score. Those hospitals with scores in the top twenty percent are designated as “Five-Star” facilities. A subset of this group is the “Top 100” which contains the highest scoring facilities in the country. Elliot Health System is proud to be one of only two facilities in New Hampshire to be named a Breast Imaging Center of Excellence by the American College of Radiology. 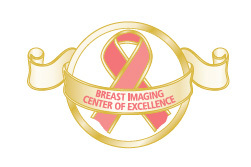 Organizations who have earned this distinction have demonstrated excellence in breast imaging by successfully achieving accreditation in Mammography, Stereotactic Breast Biopsy, Breast Ultrasound and Ultrasound-Guided Breast Biopsy. Elliot Health System has been named a semifinalist in Business New Hampshire Magazine’s annual contest in both 2006 and 2007. We are honored to be recognized for providing generous medical and supplemental benefits such as on-site daycare, vacation packages, work-life balance and more. 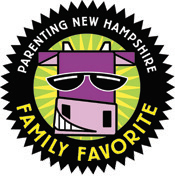 Licensed Plus is a quality rating system through the New Hampshire Department of Health and Human Services that recognizes New Hampshire child care programs for efforts to improve the quality of care for young children and rewards programs that strive to improve their practices and staff qualifications. It also allows families to identify programs with higher quality. Levels build from a foundation of minimum standards for licensing to full national accreditation. The Elliot Employee Child Care Center has proudly achieved and maintained Licensed Plus status from the time it was developed and implemented. VNA Childcare and Family Resource Center also has achieved Licensed Plus status. Home Medical Equipment received a renewal of their State of New Hampshire Department of Health & Human Service Home Healthcare provider license.